Former President George H.W. Bush has been in the hospital for shortness of breath since Saturday. The Associated Press reports that the 41st president was admitted to Houston Methodist Hospital in Texas, but that he has “responded very well to treatments,” according to spokesperson Jim McGrath. 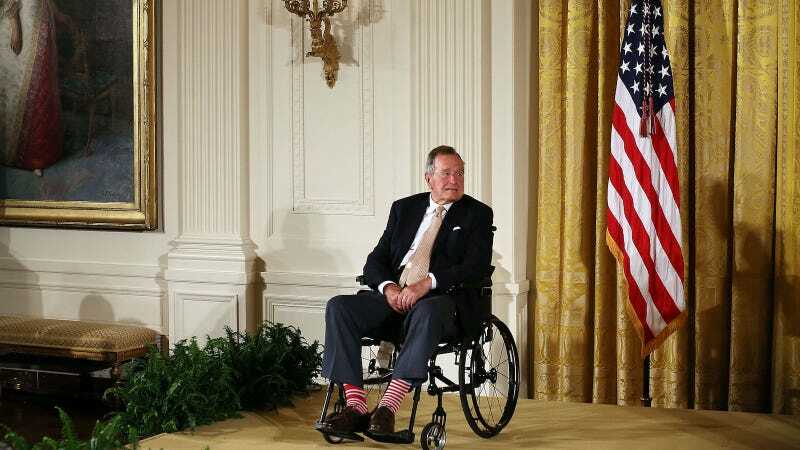 Bush’s office chief of staff, Jean Becker, told Houston’s KHOU 11 News that the former president is “doing fine” and is expected to return home in a few days. Bush, who is the oldest living former president, suffers from Parkinson’s disease and relies on a scooter or wheelchair for mobility. He has been hospitalized several times in recent years: In 2015, he broke his neck during a fall, in 2014 he was hospitalized for shortness of breath, and in 2012, he was sent to the intensive care unit after suffering from bronchitis. He will be the only living former president not attending Donald Trump’s inauguration on Jan. 20, a decision made over concerns of Bush’s health and age, according to McGrath.